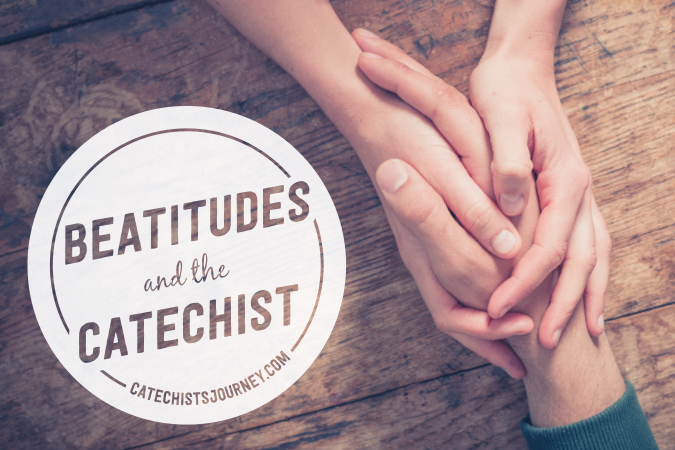 This is the seventh article in a series exploring the Beatitudes as they relate to being a catechist. 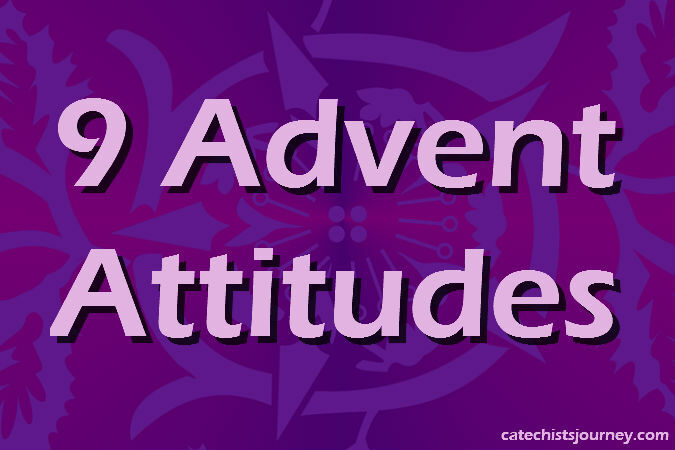 Happy are the catechists who live as God intends, for they can’t help but love the young people in their classrooms. I spent some time cleaning out my catechist’s bag earlier this week, and I came across some prayers written by the young people at the beginning of the year. One of them gave me pause: “My hope is the world will change so that there is no more fighting and killing.” I share that hope. I am also at a loss as to how to teach young people how they can be peacemakers. Perhaps this is the most difficult lesson to teach young people. A person is a peacemaker not because he or she is proficient in the tactics and strategies of conflict resolution. 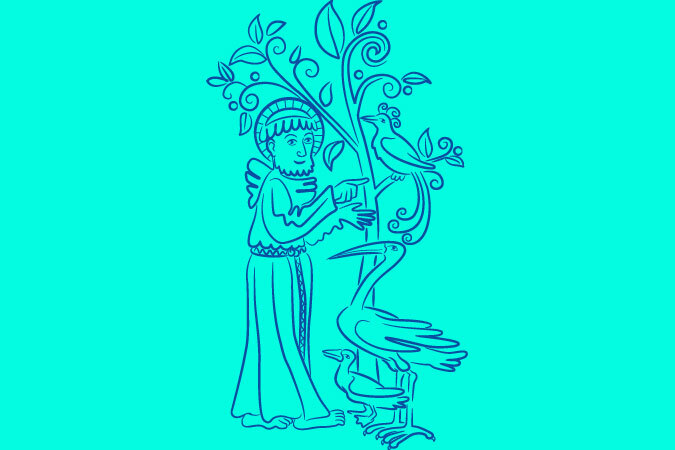 Rather, a peacemaker is a person who lives the Peace Prayer of St. Francis. Lord, make me an instrument of your peace. To be a peacemaker is to do God’s will. That’s why peacemakers are called “children of God”: they do the will of God the Father. Where there is hatred, let me sow love. Love consists of concrete actions that affirm human dignity. Yes, my class does this through service projects; but more importantly, we do this in the way we treat one another during class. Where there is darkness, light; / where there is sadness, joy. Life is hard. We cannot escape suffering in this world. As St. Bernadette Soubirous wrote in her journal, “Here below pure Love cannot exist without suffering.” When young people come to me with their fears and concerns, I can acknowledge their pain and fear and help them find God in the midst of it. O divine Master, grant that I may not so much seek to be consoled as to console. I desperately want young people to reassure me that the lessons I have shared have taken root, that I will see them in Mass, and that they will continue to explore and grow in their faith. Instead, I will reassure them that God loves them no matter what and that there is nothing they can do that will make God stop loving them. To be understood as to understand. Given the choice between the young people understanding me or me understanding them, it is better for me to take the time to understand them. For it is in giving that we receive, / it is in pardoning that we are pardoned, / and it is in dying that we are born to eternal life. / Amen. The vocation of a catechist is a great blessing. It also requires sacrifice. Yet, it is always worth it. The gifts I have received in teaching young people have brought me to a greater understanding of God. Being a peacemaker, then, is more than praying for an end to violence. Being a peacemaker means living as God intends. The call to be a peacemaker includes the call to be loving, understanding, merciful, faithful, hopeful, joyful, and most importantly, grateful. These virtues are all part of discipleship. The Beatitudes for Families presents the Beatitudes with original artwork on sturdy 8.5” x 11” cards. On one side are the words of Christ as found in Matthew 5:3–10. On the other side is an adapted version of the Beatitudes written for families. Also available in Spanish.